"Sampath Speaking" - the thoughts of an Insurer from Thiruvallikkeni: Semi Finals line-up in T20 WC 2016 - Sune Luus who ? Semi Finals line-up in T20 WC 2016 - Sune Luus who ? NZ play England today … they have used spinners extensively. 20 Wickets for New Zealand's spinners, the most by any team in the Super 10 stage of this tournament. Afghanistan are next with 15, followed by India on 12. Mitchell Santner has taken 9 for 86 in 15 overs, Ish Sodhi 8 for 78 in 15.4 and Nathan McCullum 3 for 21 in five. Santner's haul of nine is the joint highest in the Super 10 stage. England's spinners have taken only eight wickets collectively in 24 overs. India will play WI in the other Semis tomorrow. Meantime, the great finisher MS Dhoni reached 1000 runs in T20Is during India's nail-biting victory over Bangladesh in Bangalore last week. It was his 66th T20I, and he was the 31st batsman to reach 1000 - the fifth from India after Virat Kohli, Rohit Sharma, Suresh Raina and Yuvraj Singh. Dhoni is the first to get there without the aid of a half-century: his highest score is 48 not out, against Australia in Sydney in February 2012. 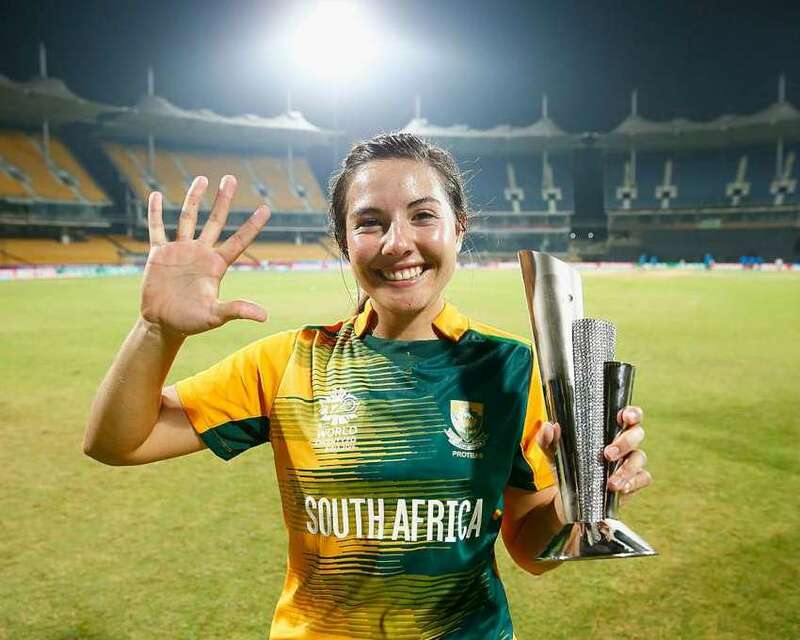 Some may not even be aware that T20WC for women is also happening alongside. Today in 1st Semis Aussie Women play England while NZ will play WI tomorrow. On Mar 23 night at Chepauk, Sune Luus (the women in photo) took 5 for 8 against Ireland. The South African legspinner Sune Luus finished with the fine figures of 4-0-8-5 .. anyway SA is not there too in the Semis line-up !